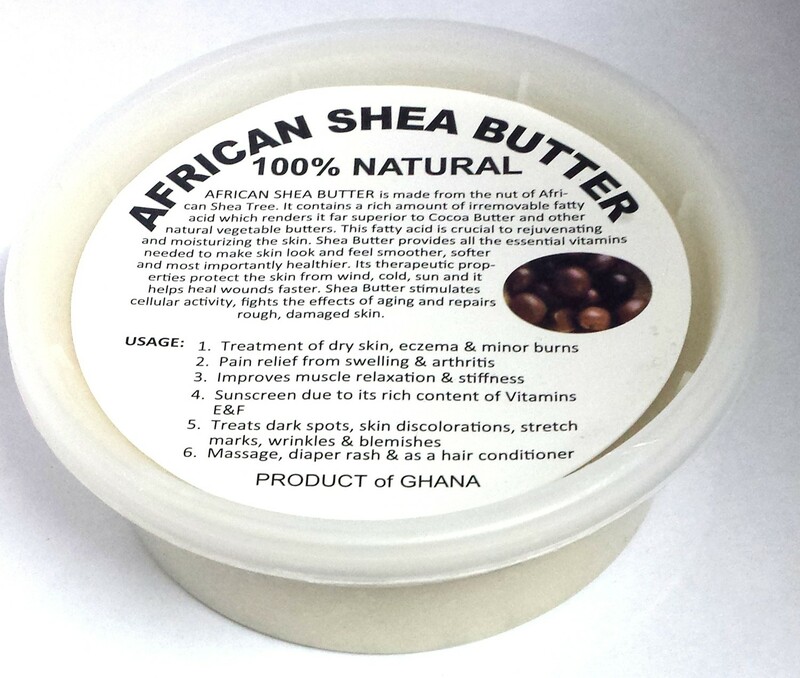 This African Shea butter can be used as a body lotion, its rich, thick texture instantly softens skin and is great for people with sensitive skin, dermatitis, psoriasis, and eczema. It is also great for babies, and can even be used as a diaper rash cream. Use it to heal chapped, broken skin or lips. Use it to heal dry, itchy scalp or split ends. You can also use it to soften your feet and get rid of toe fungus. There are so many ways that you can benefit from Shea butter, give it a try and your skin will thank you. Made in Ghana.